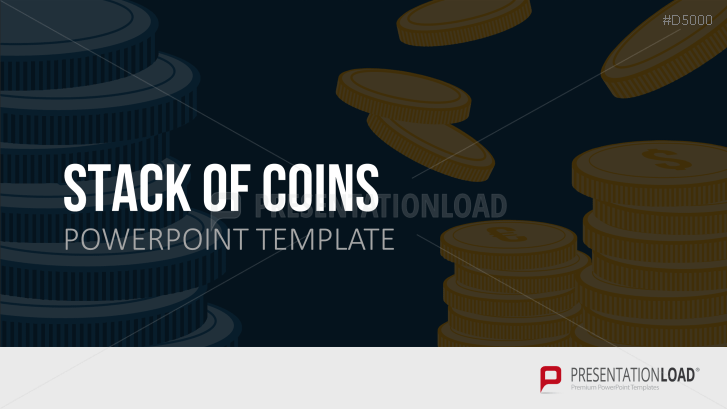 This set contains a variety of PowerPoint coin graphics to visually support all financial and currency-related topics. The Stack of Coins template contains many different representations of coin images. Whether a chart, table, simple graph, or graphic - this template allows you to present issues with a focus on finance and money in a variety of ways. As in many sectors, digitalization is gaining ground in the financial world, and digital transaction opportunities are increasingly replacing the coin as a means of payment. However, the coin remains a universally accepted symbol of payment and offers you the opportunity to present similar associations to a wide-ranging audience. Use these coin graphics to visualize topic-specific diagrams, to transform mind maps, customize charts and tables, and create an individual and comprehensive presentation.